After the initial disaster it that unit 2 was creating the most significant radiation releases to the environment. The highest of the three units that melted down. In 2012 an obvious steam leak from the reactor well was discovered via TEPCO images. TEPCO’s schedule shows they may begin removing equipment from inside unit 2’s refueling floor as early as mid-July. The building demolition and spent fuel removal schedule is still somewhat vague. This is dependent on other work completion. The inside of the containment vessel of the No. 2 reactor at the Fukushima No. 1 nuclear plant is seen in this frame grab from video provided by the International Research Institute for Nuclear Decommissioning (IRID). TOKYO — The government and Tokyo Electric Power Co. (TEPCO) are considering starting the removal of molten nuclear fuel from the No. 2 reactor of the Fukushima No. 1 Nuclear Power Plant, people familiar with the matter have told the Mainichi Shimbun. Three of the four reactors at the plant in the northern Japanese prefecture of Fukushima suffered core meltdowns after the reactors’ cooling systems shut down due to tsunami triggered by the Great East Japan Earthquake of March 2011. According to the sources, an on-site inspection of molten fuel debris inside the reactor’s containment vessel using remote control equipment will be conducted this fiscal year. Data from the test, such as the hardness of the debris and whether it is movable, will be used to develop equipment to remove and store the highly radioactive materials. Under the road map for decommissioning the power plant revised in September last year, the government and TEPCO are to decide on a reactor on which to start debris removal and determine how to carry out the procedure by March 2020, the end of next fiscal year. Actual removal is scheduled to begin in 2021. In January of this year, the government and TEPCO managed to insert a pipe with a camera into the No. 2 reactor’s containment vessel and captured the image of gravel- or clay-like deposits believed to be fuel debris on the floor. According to the people familiar with the matter, the government and TEPCO have judged that it is necessary to further examine the conditions of the No. 2 reactor as a possible starting point for fuel debris removal, since inspections needed for such an operation have progressed further on the No. 2 unit more than on the other two reactors that suffered core meltdowns in 2011. The government and TEPCO will carry out the new probe in the fall or later of this year by inserting a camera-equipped pipe attached with a device capable of directly touching the debris, which will gather data on the reactor’s current conditions. The debris is not taken out of the containment vessel at any point of this survey. In the next fiscal year starting April 2019, they will consider examining wider areas inside the containment vessel and recovering a small sample of molten fuel for analysis ahead of full-fledged extraction in 2021. As for the other reactors, the No. 3 unit has water inside the containment vessel, the removal of which is difficult, although images of what appeared to be fuel debris were captured inside the reactor in July 2017. The No. 1 reactor, meanwhile, will receive another probe to determine the existence of molten fuel inside because an inspection carried out in March last year failed to spot any debris. TEPCO will shortly submit a plan for the examination of the No. 1 and No. 2 reactors’ interior for fiscal 2019 and later to the Nuclear Regulation Authority. A robotic probe has found that radiation levels remain too high for humans to work inside one of the reactor buildings at the damaged Fukushima Daiichi nuclear power plant. Tokyo Electric Power Company, the operator of the plant, plans to relocate 615 units of nuclear fuel from the spent fuel pool, which is located on the top floor of the No. 2 reactor building and is separate from the reactor itself. TEPCO says the relocation will help reduce risks, including possible damage caused by earthquakes. The No. 2 reactor underwent a meltdown, but did not experience a hydrogen explosion in the 2011 nuclear accident. The building is likely to still have a high concentration of radioactive materials. Last month, TEPCO drilled a hole in the wall of the building in order to use a camera-equipped robot to create a detailed map of the radiation on the top floor. On Monday, workers started the survey and measured radiation levels at 19 points, mainly near the opening. Up to 59 millisieverts were detected per hour. That’s above workers’ allowable annual exposure of 50 millisieverts and more than half of their 5-year exposure limit. TEPCO has concluded it cannot let humans work inside the building. TEPCO will use the results to determine specific ways to remove the fuel from the pool. It plans to start the work in fiscal 2023. The operator of the crippled Fukushima Daiichi nuclear power plant intends to send a robot into the No.2 reactor building as early as next week to measure interior radiation levels in detail. It is a key step toward removing all 615 nuclear fuel rod units that remain in a storage pool in the building, and eventually decommissioning the reactor. The pool is located on the top floor of the building. The No.2 reactor experienced a meltdown after the major earthquake and tsunami that hit eastern Japan in 2011. Tokyo Electric Power Company, or TEPCO, plans to transfer the fuel units to reduce the risks posed by possible earthquakes and other factors. TEPCO needs to map radiation levels and other detailed conditions inside the building before retrieving the fuel units. The utility on Thursday finished breaching a wall of the building to allow entry to a robot and heavy machinery. Work on the 5-meter wide and 7-meter high hole started last month. TEPCO plans to send a robot fitted with a camera and a radiation measurement device through the opening as early as next week. And TEPCO could start removing the fuel around fiscal 2023 based upon the survey results. TEPCO also seeks to begin retrieving nuclear fuel from the No.1 reactor around fiscal 2023 and from the No.3 reactor as soon as this autumn. Both reactors had a meltdown following the natural disaster. The operator of the damaged Fukushima Daiichi nuclear power plant has started laying the groundwork to retrieve fuel from one of the plant’s reactor buildings. It’s a crucial step toward scrapping the complex. Tokyo Electric Power Company began the work on Monday to move 615 fuel rod units from a storage pool on the top floor of the No. 2 reactor to a more secure location. The No. 2 reactor is one of 3 at the plant that melted down in the 2011 accident. Radiation levels inside the reactor building remain high. TEPCO will open a hole measuring 5 by 7 meters in the building’s wall and send a robot through it to measure radiation levels inside. A section of the wall will be divided into 29 blocks, each with a handle to facilitate its removal. From a control room some distance from the reactor building, TEPCO officials will remotely operate a machine to remove the blocks. The work is expected to continue until mid-June. The plant operator will measure radiation levels before deciding how to retrieve the fuel rods. The company plans to start retrieving the fuel in fiscal 2023. TEPCO official Hiroshi Noda says that although the decommissioning work for the No. 2 reactor has just started, it’s a major step forward. He says the company will make sure that the work will have no impact on the environment. TEPCO published a Roadmap document right before leaving for Golden Week vacation. In this document is a 30+ page section of new data for unit 2’s missing fuel. TEPCO has given varying explanations for unit 2’s meltdown and fuel location. Two muon scans have been completed for unit 2. The first found no fuel remaining in the RPV. A second scan by TEPCO claimed to have found some fuel in the bottom of the RPV, our analysis of the scan found otherwise. It is likely that all of the fuel inside the reactor vessel melted and all of it except for some residues is no longer in the RPV. The volume of fuel debris inside unit 2 is difficult to calculate due to a number of factors. The debris is spread between multiple areas including the floor grate level, the pedestal floor and whatever debris may have burned down into the pedestal floor. The total volume of the fuel core is known for unit 2 but the exact size of the pedestal diameter is not known. A fuel debris volume estimate was made for unit 1 based on known data and meltdown events at that reactor. Unit 1 is smaller than unit 2 in both fuel core size and size of the reactor structures. The general reactor building sizes and the fuel core sizes should be something that could roughly scale up for unit 2. Unit 1 estimate showed a fuel volume of all of the fuel and related melted structural materials as 60-100 cm deep. Inside unit 2 about 50% of the pedestal floor was found to be covered with 70 cm of fuel debris. Additional fuel debris in an unknown volume is on the floor grate level. An unknown amount is burned down into the pedestal concrete basemat. Further fuel debris may be in lower reactor piping systems or the outer drywell floor. Unit 2’s fuel debris volume would also be reduced as the control rod drive array and bottom head of the reactor vessel are still intact. That large amount of metal structural material is known to not be part of the melted fuel debris in unit 2. What has been found on inspection may be all of the fuel debris for unit 2 if a portion of the material is burned down into the pedestal basemat concrete. In most meltdown scenarios that is a given assumption unless the containment structure was heavily and repeatedly flooded with water at the time the fuel first dropped into the pedestal. With unit 2 that is an unlikely scenario. There is an alternative possibility that a large amount of the radioactive materials in the fuel vaporized during the meltdown and escaped containment. This concept requires more investigation to confirm vaporization but this possibility for unit 2 is not completely ruled out. Fused microparticles containing nuclear fuel and other meltdown related materials have been found over a wide swath of Fukushima and beyond. Unit 2’s refueling floor blow out panel and reactor well containment gasket are one escape path for micro materials, steam and other gasses. Unit 2’s venting attempts are another concern. TEPCO has claimed the direct drywell venting of unit 2 didn’t work and the rupture disc for this system did not break as intended. 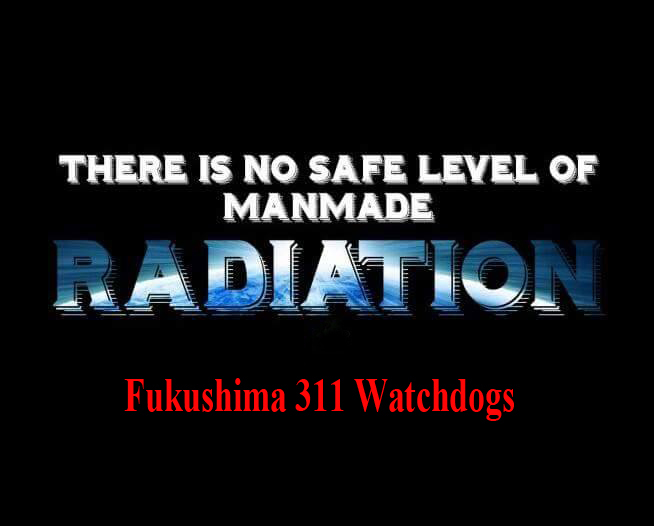 TEPCO has provided no conclusive proof of this claim such as photos, video or other tangible evidence for this claim. Due to this, there is still the possibility that unit 2’s venting released some of these fused microparticles of fuel. The radiation levels found in unit 2’s pedestal including a reading close to the fuel debris pile were between 7-8 Sieverts/hour. The high reading found along the CRD rail in 2017 was between 200-300 Sieverts/hour. These pedestal readings are drastically lower than what would be expected near an unshielded large pile of fuel debris. By comparison, radiation levels along the outer containment wall in 2012 were within a similar range of the lower readings found on the CRD rail in 2017. The elephant’s foot at Chernobyl, measured within the first year of the disaster, converted to Sieverts was 100 Sievert/hour. Underwater readings in unit 1’s torus room near what is suspected fuel debris, taken in 2012 were 100,000 to 1 million Sieverts/hour. Radiation levels near the fuel debris indicate that the top layers of debris may be mostly metallic materials with little fuel. Radiation levels indicate that fuel bearing debris is not in the visible layer in the pedestal. (other possible locations – vaporized/vented, beneath the metallic layer, sml amounts in piping).